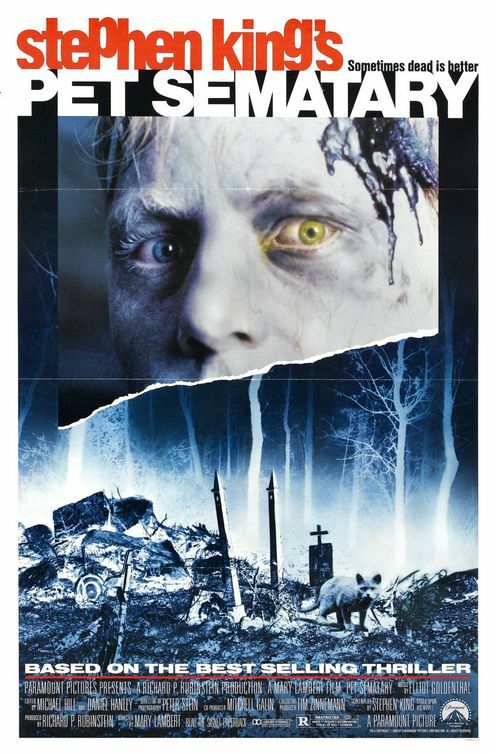 The original Pet Semetary film scared the living hell out of me when I was younger! I couldn't get a good nights sleep for over a month because everytime the lights went out I would imagine Zelda crouched in the corner of my room ready to get up in my face and yell at me, "Never get out of bed again!" Or little cage under my bed with a scalpel ready to slice open my achilles tendon. I love the first movie because it was scary as hell and jacked me up when I was a kid. Now Parmount Pictures and producer Lorenzo di Bonaventura (Transformers) are going to remake this classic Stephen King horror film. They've hired Matthew Greenberg to write the script. Greenberg also wrote the big screen adaptation of Stephen King's 1408. I can't say I'm very excited about this classic King horror film being remade. There's no way in hell they will be able to capture that same feeling of dread. The remake will most likely have a polished look like all of the Michael Bay Platinum Dunes horror movie remakes. Now, there's a chance that the movie could end up being good, there's always that chance. For example, I didn't expect A Nightmare On Elm Street to look so good. I liked the film 1408 and thought Greenberg did a great job adapting the short story into a script. I just wish these executives would move on and try to develop some original concepts, but that's not the Hollywood we live in anymore. What are your thoughts on Pet Semetary being remade?